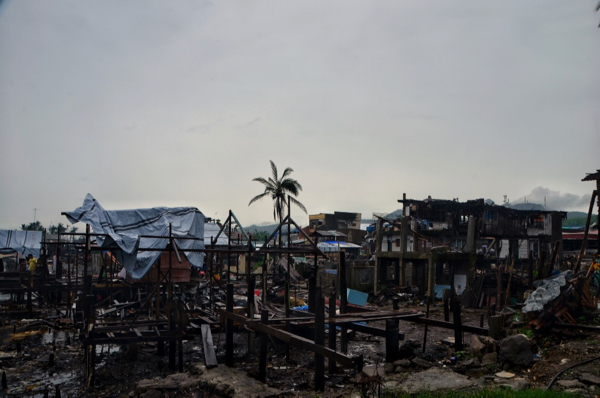 MANILA — Four years after a colossal Pacific Ocean storm battered the city of Tacloban in central Philippines, Jerby Santo remembered how as one of around 10 million Philippine expatriates, he was waiting anxiously for news of Typhoon Haiyan making landfall at his home town. Even though the Philippines often bears the brunt of storms veering off the southern Pacific, Haiyan had prompted an unusual level of uneasiness. 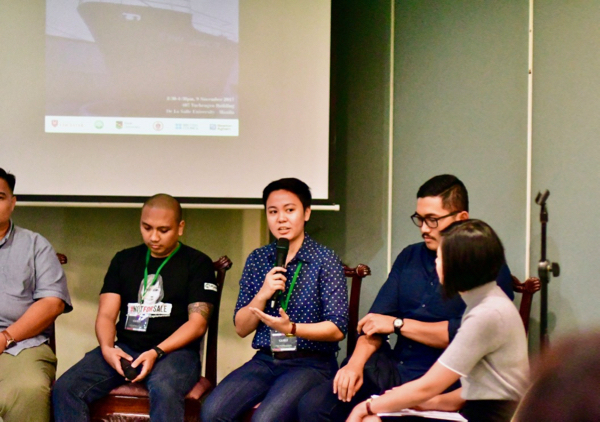 “I was in Phnom Penh on the eve of the storm, the internet was abuzz, what was going to happen?” he recalled, speaking at a commemorative event organized by the Newton Tech4Dev Network and De La Salle University in Manila on Nov. 9. The biggest damage of the hurricane was caused by a storm surge, a wall of seawater like a tsunami that swept inland, quickly flooding ground levels before people could escape. With over 6,000 people dead or missing, Santo felt compelled to go home and use his skills to help rebuild the shattered area. With a digital marketing background, Santo started helping out with vital messaging before joining The International Organization for Migration, one of many humanitarian agencies working in the storm-hit areas in the Visayas, or central Philippines. The storm had struck too quickly to allow the same pre-emptive use of social media compared with other natural disasters. During the huge 2011 Bangkok floods, Facebook posts and tweets meant that people could update each other constantly as the floodwaters rose. It was after Haiyan that technology and social media came to the fore, harnessed by aid workers in relief and rebuilding work. 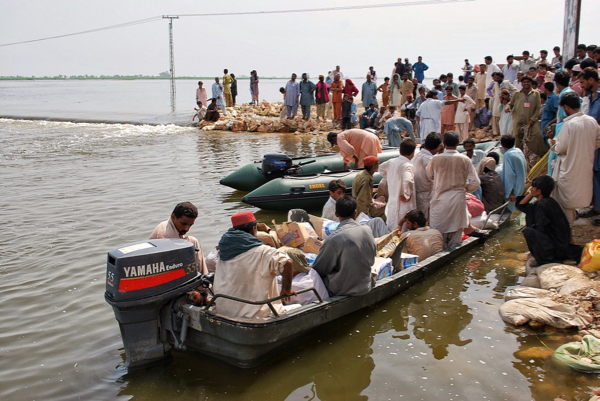 The technology aid agencies deployed in the field helped determine people’s needs and speed up aid deliveries based on surveys carried out. “The purpose was for us to enable people to send their feedback and enable us to make adjustments based on what the community needs,” said Aivon Guanco of World Vision Philippines. There is a growing appreciation across Asia of how social media and related technologies such as smartphone applications can make humanitarian work more efficient. This is especially so as an estimated 2.5 billion people use at least one smartphone messaging application worldwide. Social media giants have been adding disaster-related features to their platforms. Facebook’s safety check feature allows account holders in disaster-hit areas to declare themselves safe, while the social networking giant said earlier this month that it would make its Disaster Maps feature available to India’s National Disaster Management Authority. Aid agencies now list restoring network or internet connectivity a vital early response to disaster. However, the Haiyan disaster showed up some of the limits of such technology, which is only as good as the information it carries. Not enough people either knew in time about the surge or had enough information about how dangerous the surge could be — information gaps that could not be plugged even by the widespread uptake of social media across the Philippines. The warnings about the dangers of the surge were swamped by the posts and tweets talking about other aspects of the coming storm. 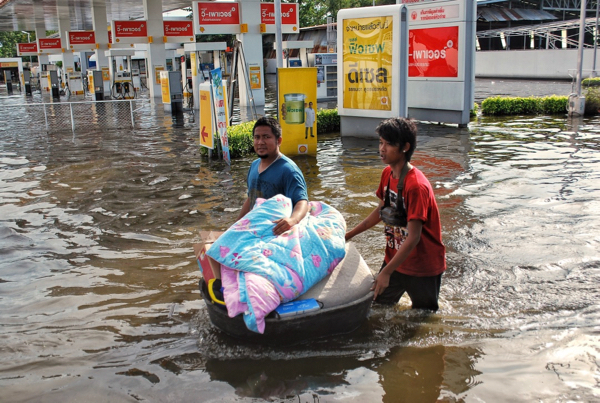 “If only people were better informed of what [a] storm surge is then they could have been better prepared,” said Janeen Cayetano of Catholic Relief Services, the aid agency run by the Catholic bishops of the U.S.
Other concerns about the use of social media and other tech that depends on personal information, such as messaging apps, revolve around data privacy, which could be exploited by “ill-intended third parties,” said the ICRC. There is always the danger of people becoming too dependent on networks that can fail in disaster, if phone signals or internet connections are disabled. “Even though I myself hugely rely on technology but for me technology is just a part of the solution as well as social media. We need to make sure to still avoid over-reliance to both to avoid excluding the most vulnerable,” said Cayetano.